I have been using eye care products since I turned 30, that was many years ago and I tried quite a number of eye creams and eye serums. 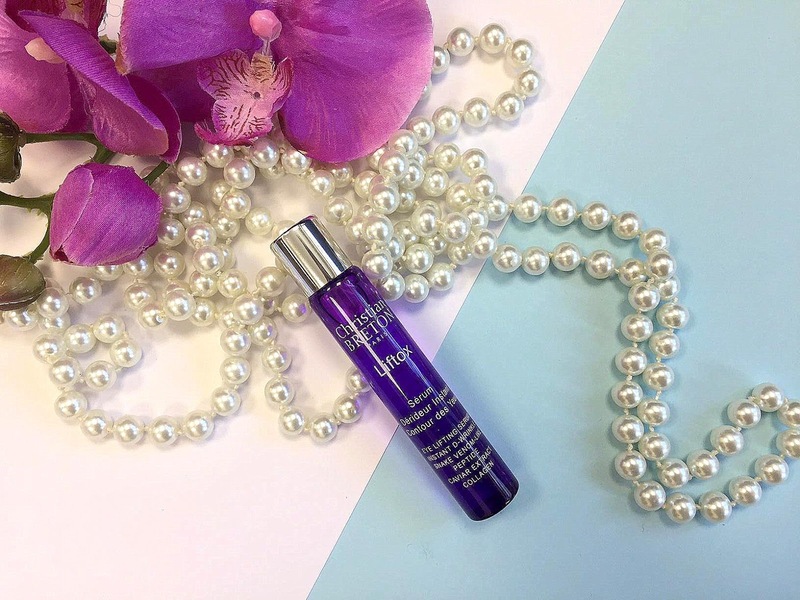 Eye creams don't perform magic, they will not make dark circles or fine lines disappear but what they do, is hydrate the eye area and soften the appearance of lines and wrinkles. I haven't been excited for an eye product before, until I tried the Christian Breton Liftox*. 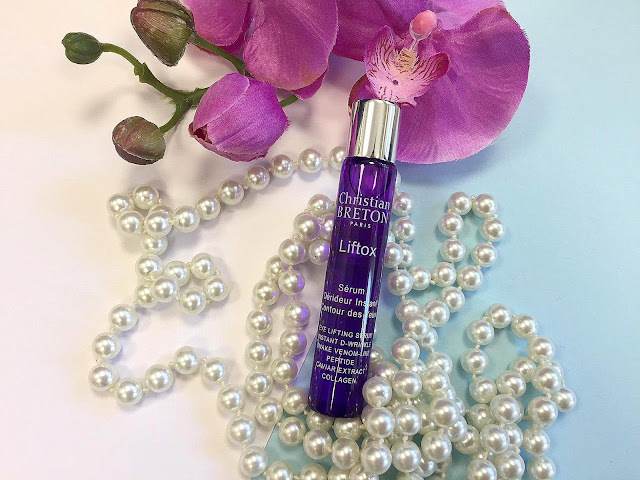 Liftox* is a treatment with snake venom-like peptides, collagen and caviar extract that smooths skin's surface and targets wrinkles for a lifting and firming effect. With the roll-on technology, the cool steel ball applicator glides beautifully onto the eye area to deliver a cooling sensation and the steel ball stimulates the micro-circulation of the eye area. This serum targets every single one of us that needs a pick me up after a stressful day and let's be honest, when we are tired it immediately shows in our face and particularly, in our eyes. As soon as you apply it under your eyes and massage it, you feel the coolness and freshness and a firming sensation. 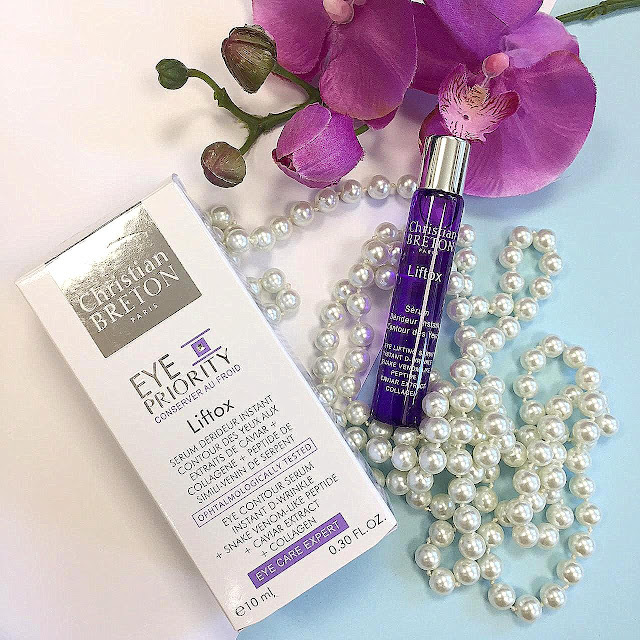 I find myself reaching for this product more than any other eye cream or serum and I use it twice a day or sometimes during the day too if I feel tired a need something to refresh my eye area. 96%: is a comfortable skincare product to use. 92%: helps repair the skin around the eyes. 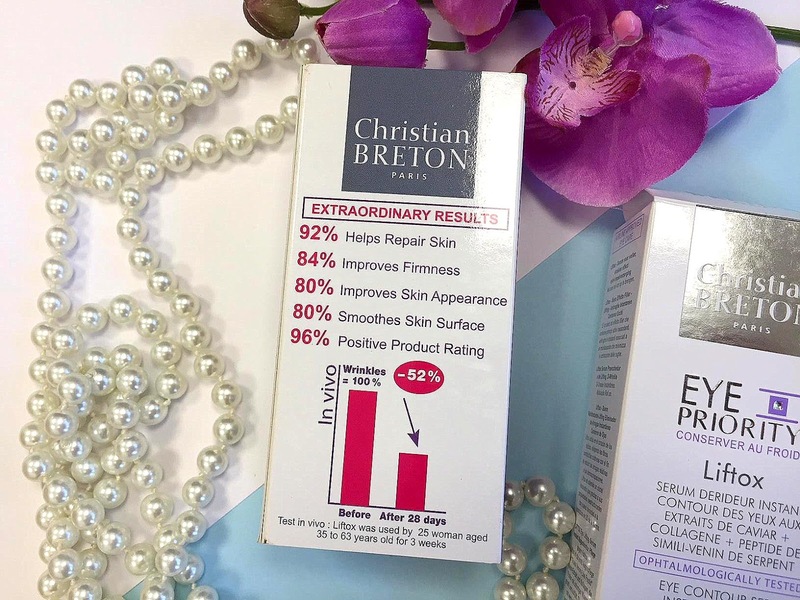 84%: improves the skin's firmness. 80%: softens the skin's surface around the eye area. 80%: improves the skin's appearance. 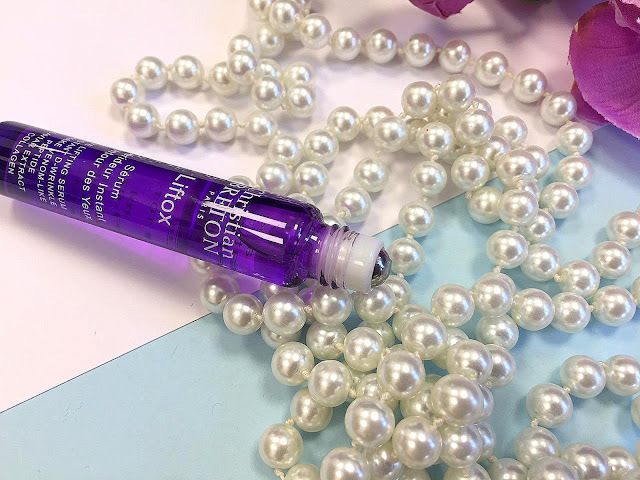 96% of women loved using Liftox. *The product was applied by 25 volunteers every day for 3 weeks. I have been using it for quite some time now and I am happy to report that this is the most amazing eye serum I have ever tried. The roll-on gives me a cooling effect and my under eye area is brighter than ever and also, my fine lines look smoother. My skin looks firmer too. 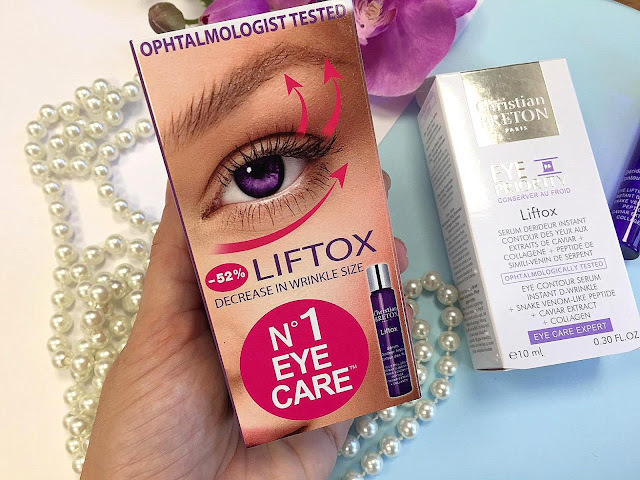 I totally recommend this product, I am so happy with the results and I hope it lasts me until the end of summer, it's a must product since it gives a cooling and refreshing sensation and revitalizes my eye area.